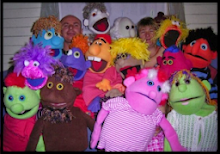 HI all, its been a little while since my last post and I have finally finished my three blue puppets which have been on my rack blind and hairless for some time..... I know.... a little depressing hey! well they now have sight and are a tad warmer on top.... so I wanted to share with you how I made the black borders around my spoon eyes, always wanted to try this .... here is my version, it's really easy so lets get started! To start you will need some finished spoon eyes, click here and see my previous post on how to make these. Cut two pieces of felt larger than the eyes. Using the safety eye backing make an indent into the felt to mark the spot and cut a small hole for the backing to go through. 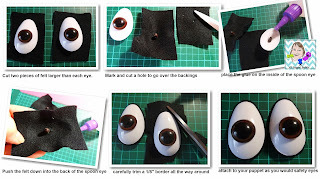 Use cold quick drying glue on the inside of the eye and place the felt over the eye back pushing it all down into the cup of the eye. Let it dry then with some sharp material scissors cut a 1/8" border all the way around. Keep in mind when you choose the width of the eye border the material on your puppet may puff around the black border to make it look a little thinner. Some of the above plastic spoon eyes were trimmed before I did my black edging just to give them all a different look. 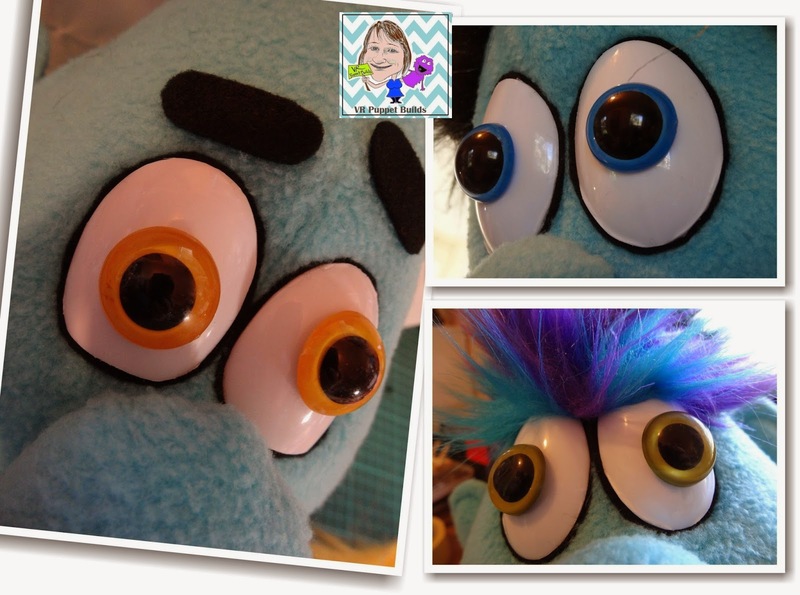 Here is my link on how to attach safety eyes.